And they say, don’t play with your food. 2010 – German dude made a playable vinyl made of chocolate. 2013 – Amanda Ghassaei created the first wooden record that has Radiohead and Velvet Underground. 2014 – Swedish band, Shout Out Louds, released a record made of ice. Now is the tortilla turn. 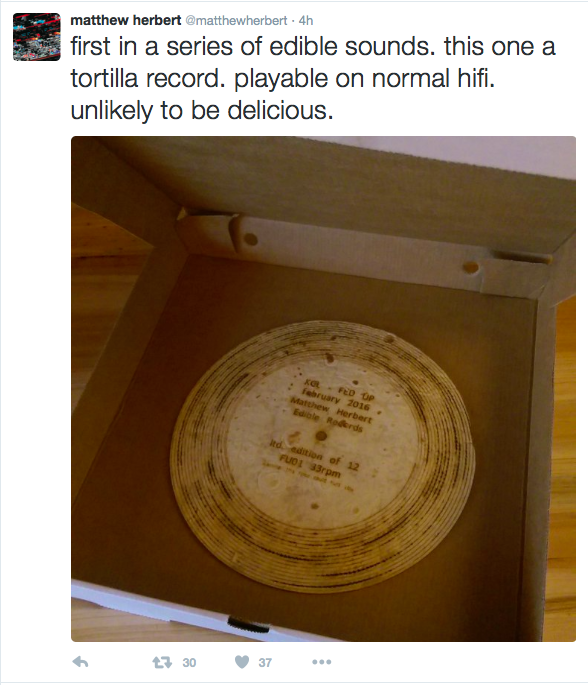 British producer Matthew Herbert has decided to jump into another alimentary musical endeavor by launching his project “Edible Sounds” and its first release is a record made of tortilla. And it’s playable. “Edible Sounds” will be limited to 12 copies. While Herbert crafts electronic music, he’s mostly known for combining food with songsmithing. His 2005 album Plat du Jour was built on sounds of cooking and his 2011 album One Pig was based on…a life of a pig. 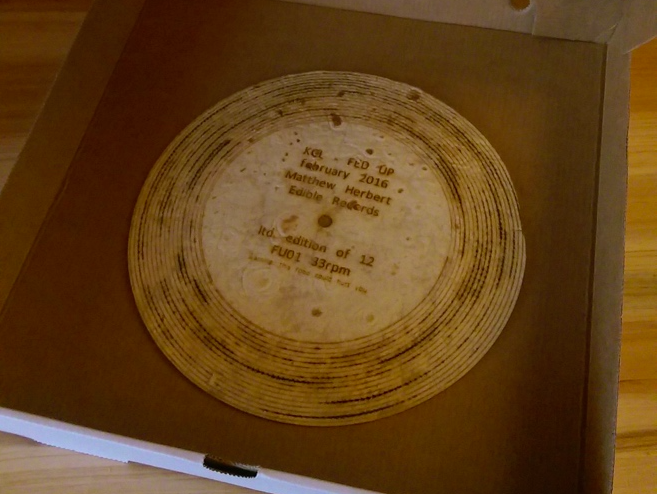 But don’t think he came up with the tortilla record – someone already had made a playable tortilla record with a laser cutter.